You'll find plenty of places to visit near Brisbane: Warner Bros. Movie World (in Oxenford), Surfers Paradise (SkyPoint Observation Deck, Infinity Attraction, & more) and Sea World Theme Park (in Main Beach). There's still lots to do: let the kids burn off some steam at South Bank Parklands, admire the natural beauty at Brisbane Botanic Gardens Mt. Coot-tha, get your game on at Zoccer Sports - Bubble Soccer, and don't miss a visit to Wheel of Brisbane. 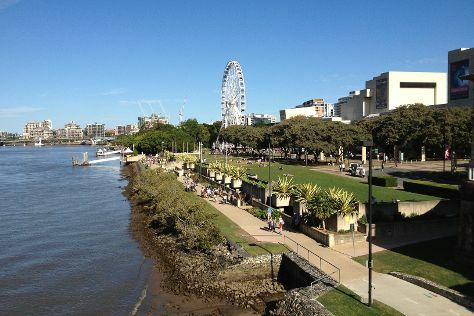 To see reviews, other places to visit, photos, and more tourist information, read Brisbane visit planner. Vienna, Austria to Brisbane is an approximately 25-hour flight. You can also do a combination of bus and flight; or do a combination of train and flight. Traveling from Vienna to Brisbane, you'll lose 9 hours due to the time zone difference. Traveling from Vienna in March, expect Brisbane to be much hotter, temps between 32°C and 23°C. Finish up your sightseeing early on the 19th (Tue) so you can travel to Sydney. Spend the 28th (Thu) exploring nature at Sydney Harbour National Park. 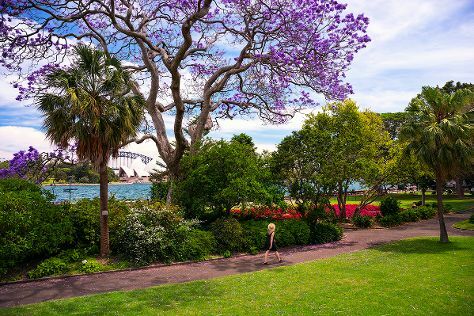 There's lots more to do: admire the natural beauty at The Royal Botanic Garden, admire nature's wide array of creatures at Sea Life Sydney Aquarium, wander the streets of Darling Harbour, and get to know the fascinating history of The Rocks. To find other places to visit, more things to do, maps, and tourist information, read our Sydney online journey planner . Getting from Brisbane to Sydney by flight takes about 4 hours. Other options: do a combination of bus and flight; or drive. Expect a daytime high around 30°C in March, and nighttime lows around 22°C. Cap off your sightseeing on the 28th (Thu) early enough to travel back home.